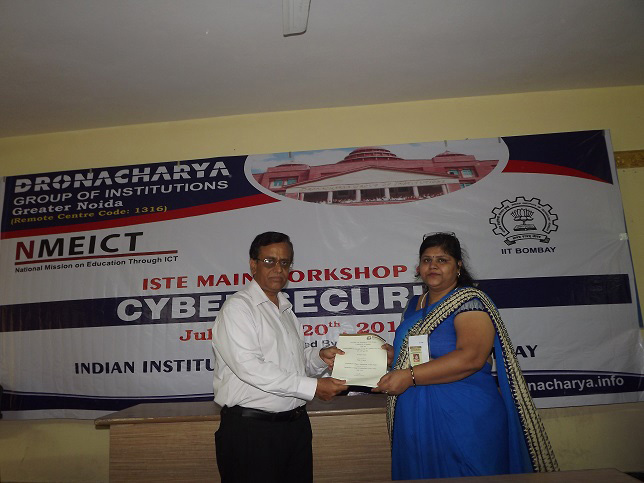 Indian Institute of Technology, Bombay (IITB) conducted a Ten days ISTE WORKSHOP on Cyber Security under the National Mission on Education through ICT (NMEICT) through A View at various Remote Centers during July 10th - 20th, 2014. 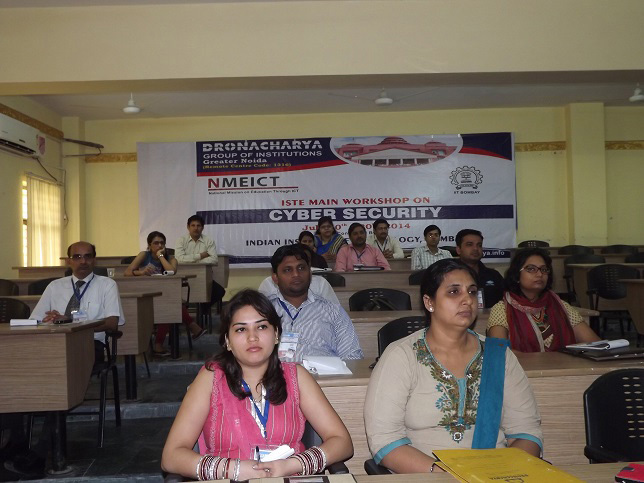 Dronacharya College of Engineering, Greater Noida was one of the Remote Centre of Delhi - NCR region. 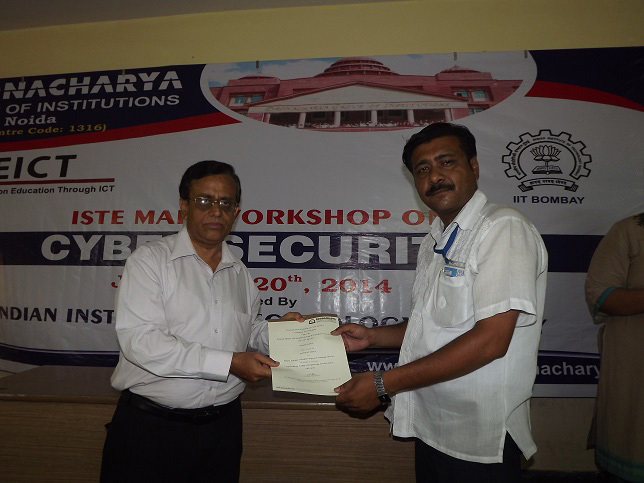 The objective of the workshop was to equip the faculty of engineering colleges with the knowledge of Cyber security . The lectures were transmitted live and were received at more than 270 remote centers across the country. The workshop at the remote centre Dronacharya College of Engineering, Remote Center Id: 1316 was coordinated by Prof. Ashwani Kumar, Remote Center Coordinator and Ms. Sarika Agarwal,Workshop Coordinator. 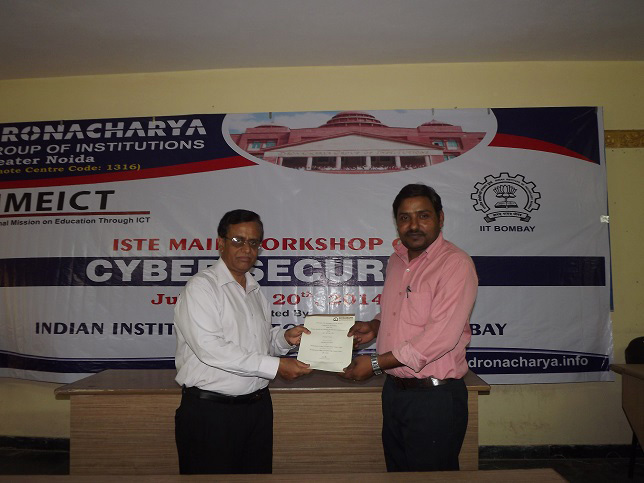 The workshop was inaugurated with a key note address by Prof. Deepak B. Phatak, Project Coordinator, IIT Bombay, Prof. Bernard L,Course Coordinator, IIT Bombay and Prof. Shiva Kumar on 10th July, 2014. They emphasized on the role of awareness in prevention of cybercrime during their address. Prof. Bernard L. Menezes, explained the basics of cryptography and different algorithms based on it in the second session. During the post lunch session, participants carried out hands on experiments of basic linux commands and openSSL. The First session began with the “Basics of Cyber Security” by Prof. Bernard L. Menezes. Next session on “Security Protocols and Software Security”. The resource person of the session was Prof. Bernard L. Menezes. All the participants carried out hands on experiments using “Wireshark (Network Analyzer) tool” to gain an in depth understanding of the concepts delivered. 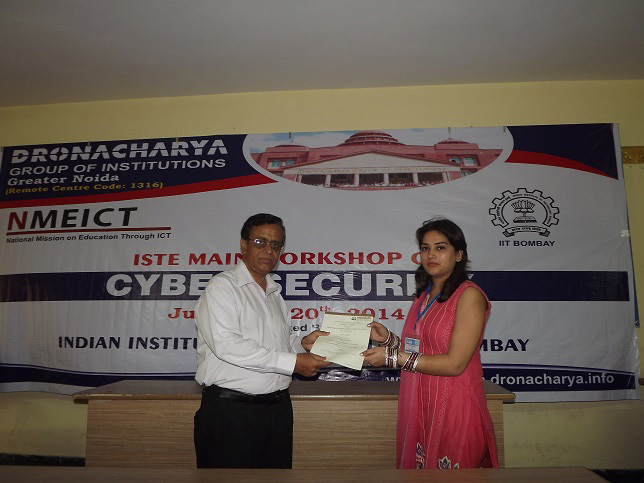 All the difficulties were delegently handled by workshop coordinator. 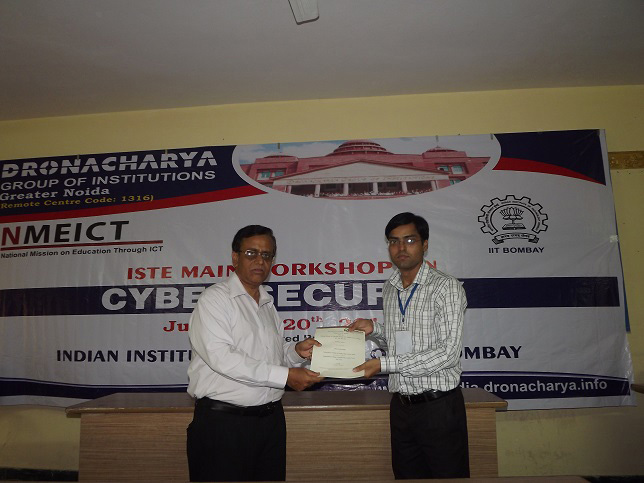 Prof. Bernard L. Menezes discussed “Security Protocols and Software Security” and “Web Security” in detail. He explained how SSL protocol has made our web page more secure. Quiz sessions were also organized by Prof. Bernard L. Menezes , which made the lecture sessions very lively and interactive. The session was followed by a practical activity on SSL Protocol using Wireshark. It allowed the participants to understand the theoretical concepts of security protocols with a very practical approach. The session began with the query from the participants which were wisely answered by Prof. G. Siva Kumar. 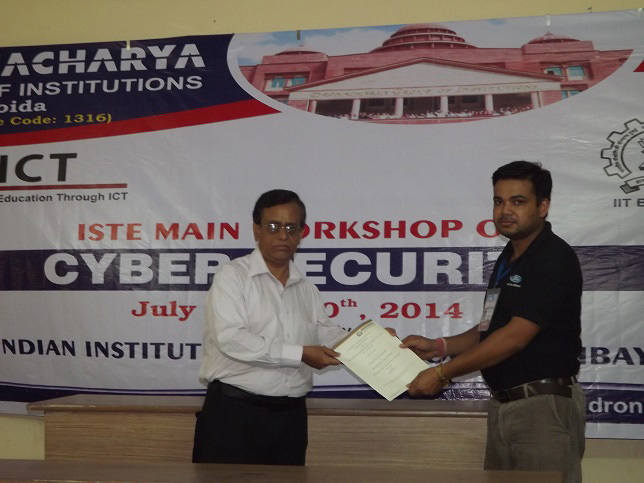 Live Demo on “OSSEC and AWSTATS” was also given by Mr. Ashok, IIT Bombay. He also explained SIEM (Security Information and Event Management ) in his lecture. 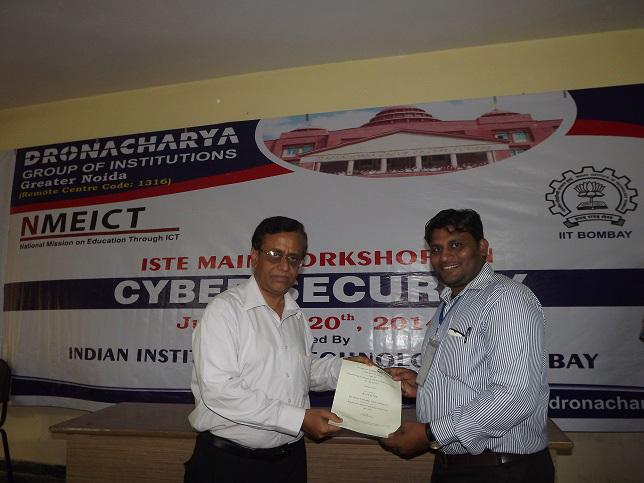 The session was followed by a lecture on “Network Security” delivered by Prof. Bernard L. Menezes. During post lunch session, the participants practiced “Penetration Testing” using XSS attacks. 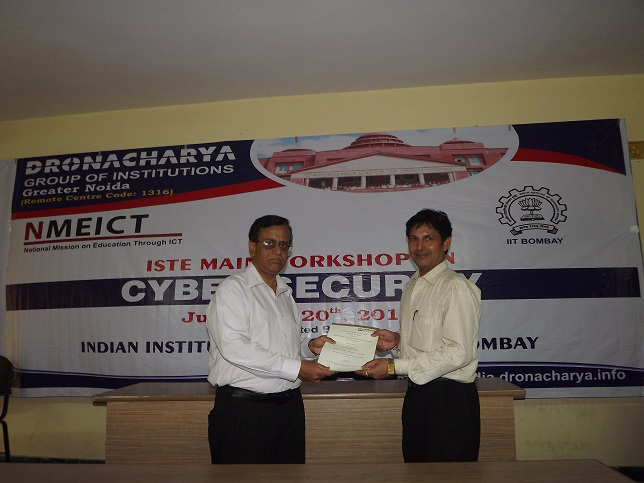 Prof. Bernard L. Meneze, NIIT Bombay conducted the session on ‘Network Security’. He emphasized on the software vulnerability such as DDOS. 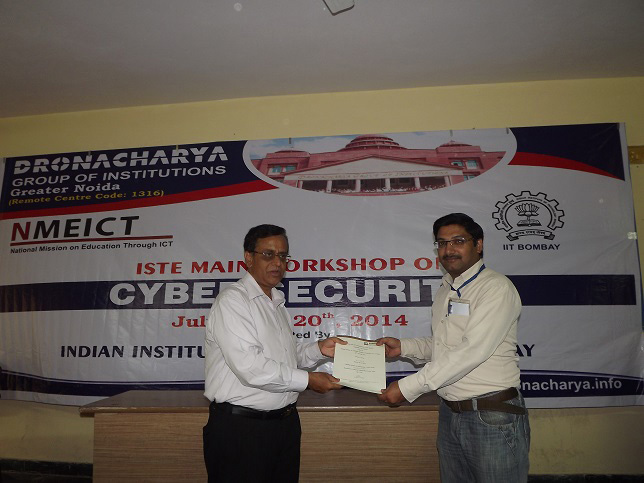 Session was followed by live Demo on Nmap and Nesus tool given by Mr. Swapnil, IIT Bombay. 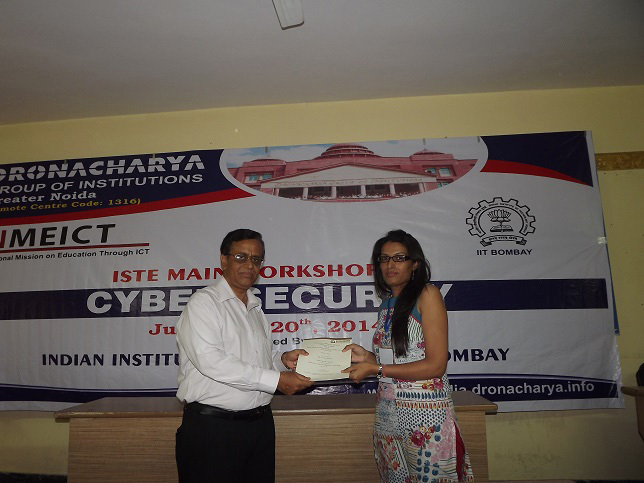 In the Second session Prof. S. Sudarshan, IIT Bombay discussed on “Database Security”. He explained the various ways to protect data from malicious activity. In the post-lunch session, a practical hands session on Network and System Forensics using OSSEC was covered by all the participants. 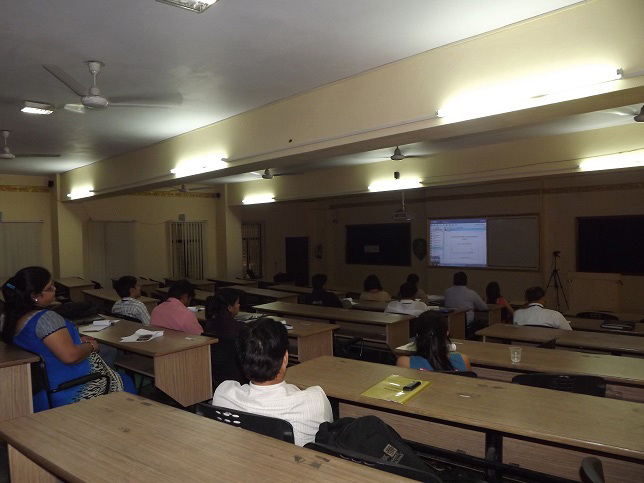 The session began with the lecture on “MOOC and Active learning” by the experts from IIT Bombay. He emphasized on the benefits of Mooc and active learning strategies. Second session was delivered by the Prof. Bernard L. Menezes on “worms and virus”. The session was followed by the live demo from Mr. Vibhor on “NMAP and Nesus” which enlightened the participants about the use of the tool. All Lab queries were handled during post Lunch Session. The session was delivered by Prof Bernard L.Menezes on Elliptic curve. He explained various problems based on Elliptic curve like Discrete Loh Problem. The second session was followed by Mr. Toshendra Sharma, CEO Wegilant (A sine IIT Bombay Company) on WNAF. He discussed how to sanitize the data from Sql Injection. During Post lunch session participants practiced on Awstats, Webanlyzer tool. 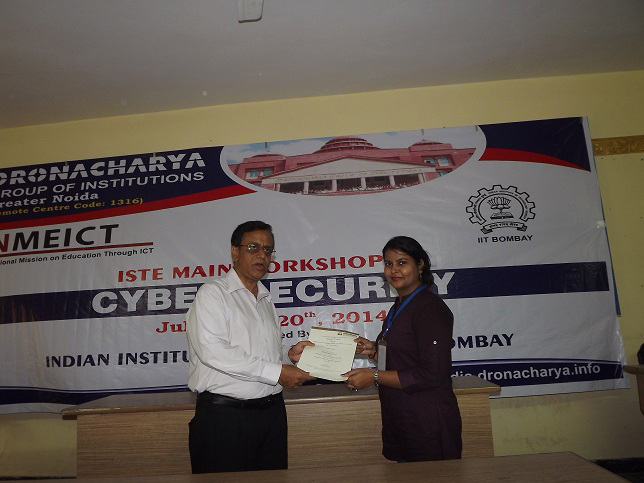 The First session was conducted by Mr. Jose Varghese Speaker from Paladion Networks on “Phishing Attacks”. He emphasized on the variants and Defenses of Phishing. Second Session was delivered by the Prof. Virender Singh, Associate Professor, IIT Bombay on “ Network Intrusion and Detection System “. During Post Lunch Session, online quiz was assigned to all the participants on Moodle. 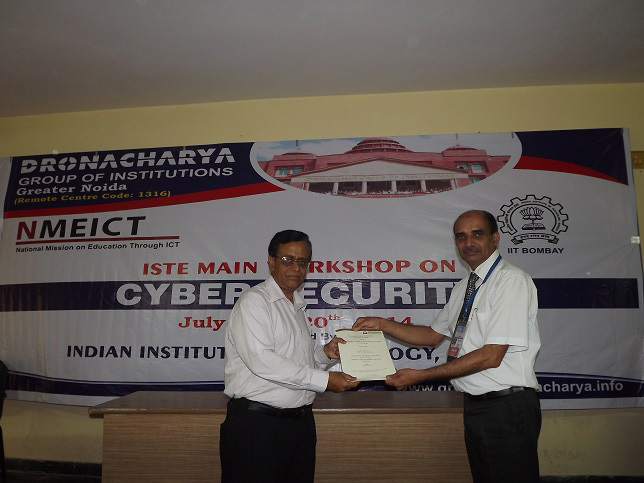 The workshop concluded with session on “Research Direction ” delivered by Prof. Benard L. Menezes, in which he discussed the various research areas on Cryptography and Security Protocols. The session came to an end with a series of questions from the participants which were w answered by the expert speaker. During valedictory session, Prof. Deepak B. Phatak, Project Coordinator, IIT Bombay congratulated the participants and his team members for their successful conduction of the workshop. He also sought feedback for the workshop from the participants. 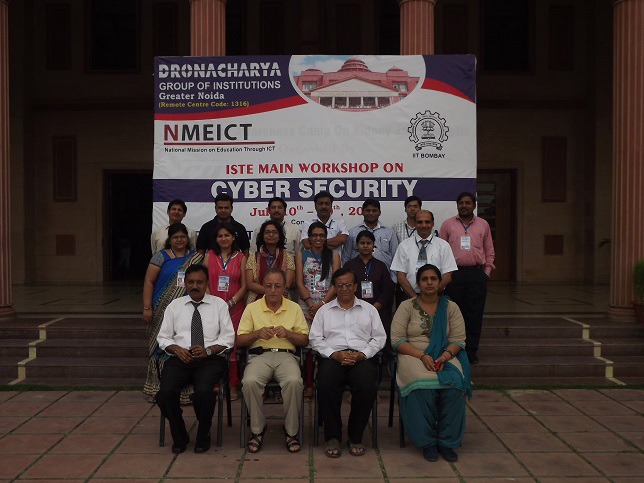 After the conclusion of the workshop Certificate of Participation were distributed to the participants at Dronacharya College of Engineering, Greater Noida by Director, Prof. (Dr.) M.S. Murali.